PITTSBURGH – Redshirt senior Emery Parker won the final match of his career Saturday to place fifth at 184-pounds at NCAA Championships. The No. 4 seed at 184-pounds, Parker defeated North Carolina’s Chip Ness in an 11-5 decision to take fifth in the weight class at this year’s national tournament. Parker is an All-American at 184-pounds for the second time in his career with the finish. After dropping his first match of the day in a hard-fought battle with No. 1 Myles Martin, Parker bounced back in impressive fashion in the fifth-place bout against No. 15-seed Chip Ness. Parker did the majority of his damage in the first period, picking up a takedown and adding on a four-point nearfall about a minute in to the opening period. Parker tacked on another takedown later in the period, and took a commanding 8-2 lead into the second frame. Parker set the tone in that first period and controlled the rest of the match. He added on three more points in the final period, one for an escape and two more for what would be the final takedown of his Illini career to bring his point total to 11. Parker would go on to win the match over Ness in an 11-5 decision, coming out on top in the final bout of his Illinois career. A three-time NCAA qualifier, Parker finishes with a 15-5 record in his three appearances in the national tournament. He went 13-2 in wresltebacks matches at NCAA Championships, and 13-1 combined in those matches at nationals in 2018 and 2019. 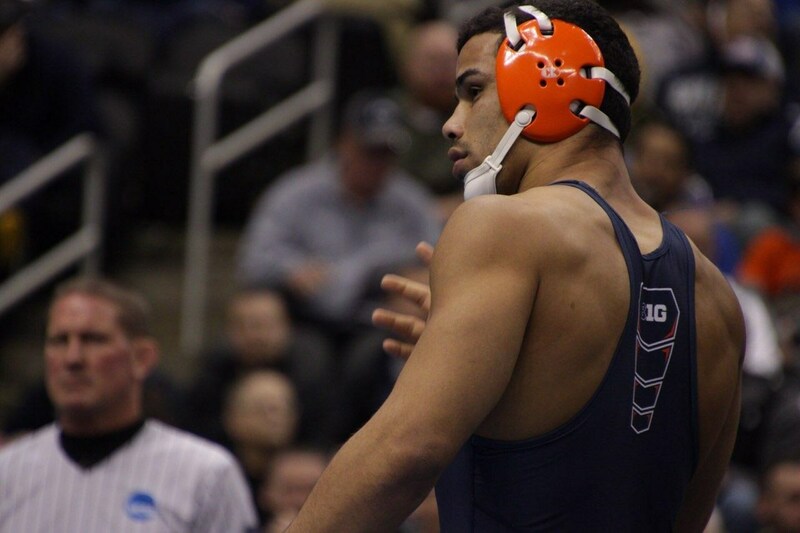 Emery Parker finishes his career as a two-time All-American. Parker is the 41st wrestler in UI program history to earn All-American honors at least twice in his career. He finishes his redshirt senior season with a 24-5 record. Parker’s final career record stands at 86-23. His win percentage of .788 ranks 16th in Illinois program history.